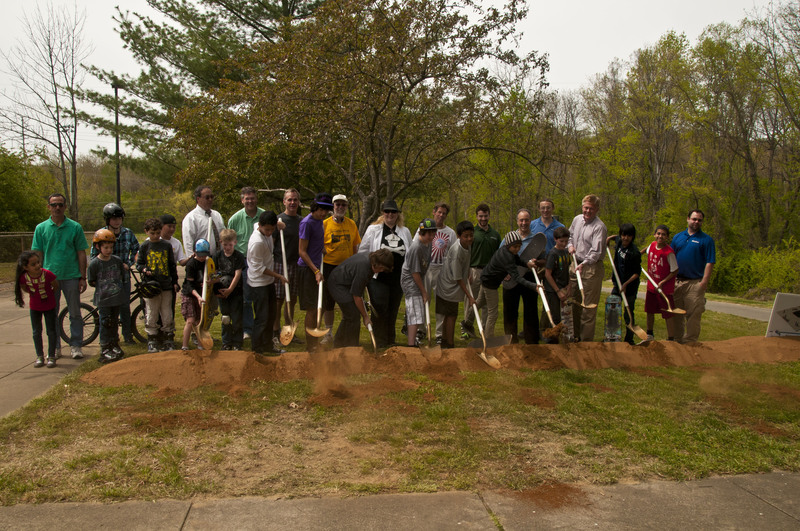 Local youth helped break ground for the expansion of Wakefield Skate Park. Just last week, skaters and officials gathered in the shade to officially kick off the expansion of Wakefield Skate Park. On a warm Saturday afternoon, folks took a few moments to dig into a symbolic pile of dirt and throw a shovelful into the air, thus marking the start of construction. It’s symbolic and it’s an important affirmation of the Park Authority’s commitment to those individuals, mostly teens, who want to take part in the individual challenges that skateboards and BMX bikes offer. 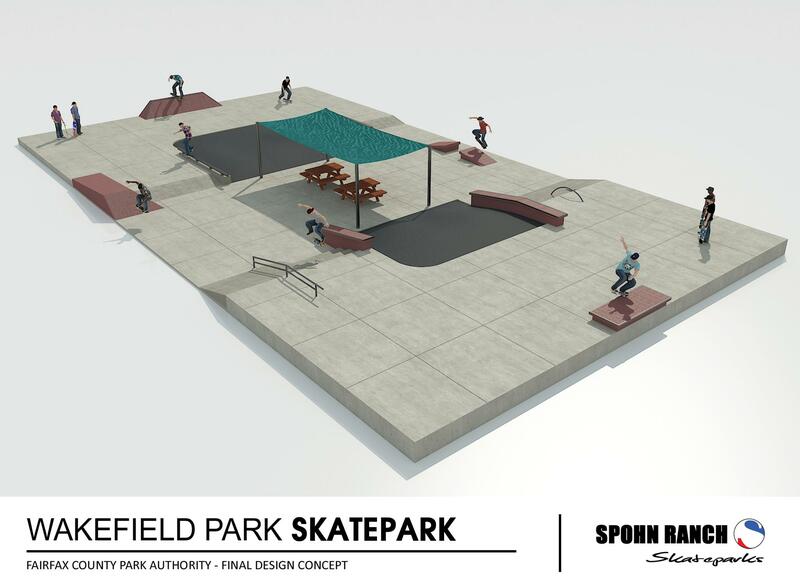 The expansion will be built in the skate plaza style and feature street skating elements. So what will the expansion bring in the near future? 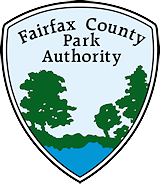 In 2008, the citizens of Fairfax County, as part of a Park Authority Bond Referendum, approved an expansion of the existing skate park, adding approximately 6,220 sq. ft. to the existing 21,500 sq. ft. structure. Construction is scheduled to begin immediately and the new section will open later in the summer. The expanded area is designed in the skate plaza style and will feature elements for street skaters to slide, grind, and jump off. The park is divided into three skill levels, beginner, intermediate and advanced. Height and difficulty rating of ramps and rails increase as the skater advances into a higher and more difficult section of the park. Each of the park’s sections feature ramps with decks at the top, along with rails or grind box, and a half-pipe was recently added. The park is also open to in-line skates, BMX bikes and non-motorized scooters. The skate park hosts many special events during the year. Late night sessions on weekends allow the skaters into the park until 11 p.m. The park also holds an annual “SkateFest,” featuring demonstrations, competition and giveaways. A launch ramp shoots skaters into the air. And now, not only is this facility a great place to skate and hang-out, but since March, it’s also free. Skaters now use the park as a skate at your own risk facility. Although the site is unsupervised, helmets and protective equipment are still encouraged. Skating and skate parks are legitimately a part of the Fairfax County landscape now. Skaters worked hard to get these facilities built. They still show up with skateboards in hand at public hearings to remind officials about their desires, and they even help to design and plan the skate parks. That’s the way these things are supposed to work. This entry was posted in Uncategorized and tagged Audrey Moore RECenter, BMX, in-line skating, skate park, skateboarding, SkateFest, skatepark, Wakefield on April 25, 2012 by Fairfax County Park Authority.